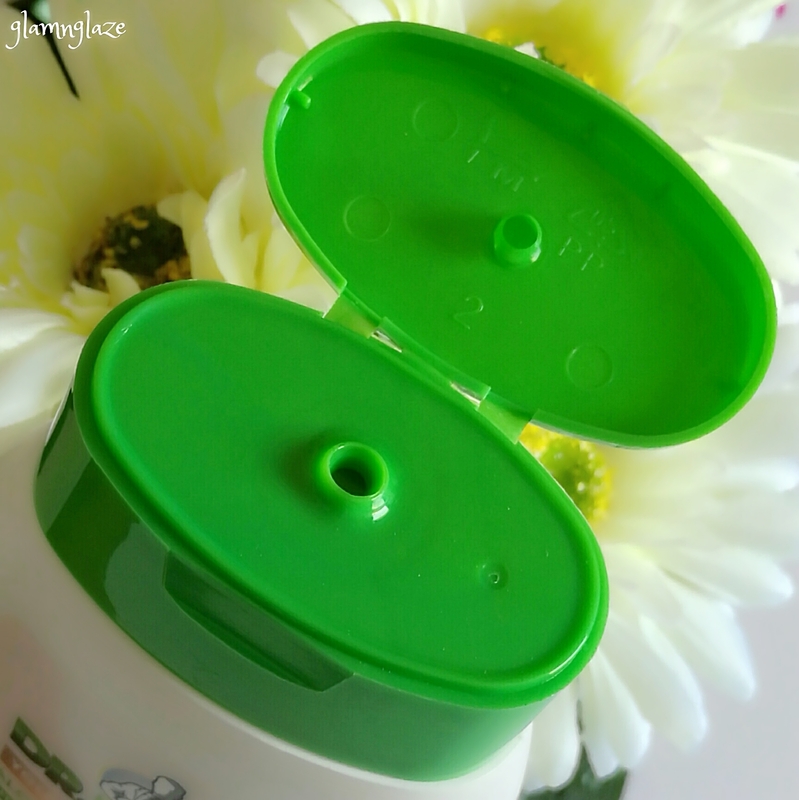 Today, I am going to share my thoughts on the Dr. Neem skincare / body care products.Recently,I purchased two products : the Shower Gel(Aloe Vera & Yoghurt) and Petroleum Jelly (with aloe vera).This amazing brand has got skincare products i.e.body care,face care...also, oral care etc.These products were launched in GCC few months back and I wanted to try their personal care product-s.So,let's find out more about this brand and their interesting products! 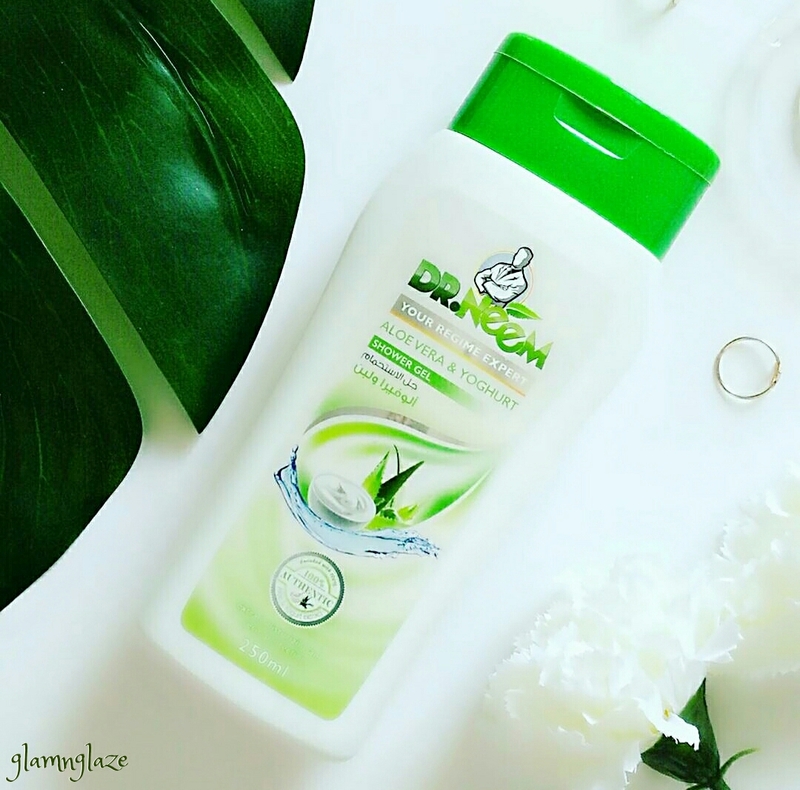 Dr. Neem brings the multi-power properties of Aloe Vera to treat a variety of skin conditions and the natural wrinkle- reducing properties of lactic acid from yoghurt to dissolve dead skin and tighten skin pores to its range of shower gels. Dr. Neem’s Yogurt and Aloe Vera Shower Gel creates a unique blend of a refreshing shower scent with the healing and moisturizing properties of these two powerful ingredients leaving the skin feeling secure. The Dr. Neem's shower gel comes in a white-plastic cylindrical bottle that has a vibrant green coloured cap.It's a flip open lid.The nozzle is of appropriate size i.e. once we squeeze out the product enough amount of the product comes out at a time.Also, the bottle-packaging looks very attractive and is very hygienic in nature.Plus all the details like product-quantity, shelf-life , ingredients etc are mentioned on the packaging.Very sturdy, compact and travel-friendly packaging indeed! The shower gel has got no colour.It's a clear gel with a hue of green colour.The texture is thin and the consistency is runny.Very lightweight formula.As soon as the product comes in contact with the water it lathers up very quickly.Very easy to work with.Non-sticky or greasy. Yes,the shower gel has got a pleasant fragrance.It smells like aloe mixed with a hint of yogurt.If you have smelled fresh aloe-leaves ever,you will understand what I am saying.Also, the smell doesn't last for long on the skin.It fades away from the skin after some time(let's say after ten minutes post shower,ehich I am ok with ).Not overpowering.People with sensitive nose can relax. Doesn't cause any skin irritations, rashes,break-outs. Didn't dry out the skin at all. 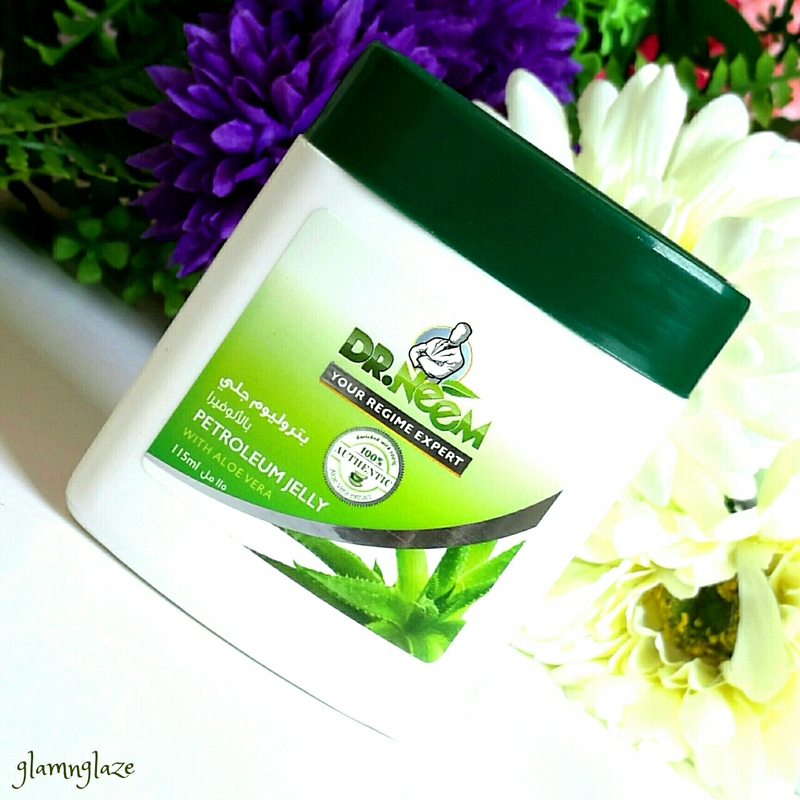 Skin feels refreshed and breathable.Leaves skin feeling soft. Main ingredients: Aloe & Yogurt. Aloe is a very important ingredient.It has various benefits.Aloe keeps the skin healthy in the long run.It helps in calming and soothing any sort of skin irritation etc. On the other hand yogurt is a very nice element in skincare.It helps in reducing fine lines and wrinkles. The lactic acid in yogurt helps dissolve dead skin and tighten pores. 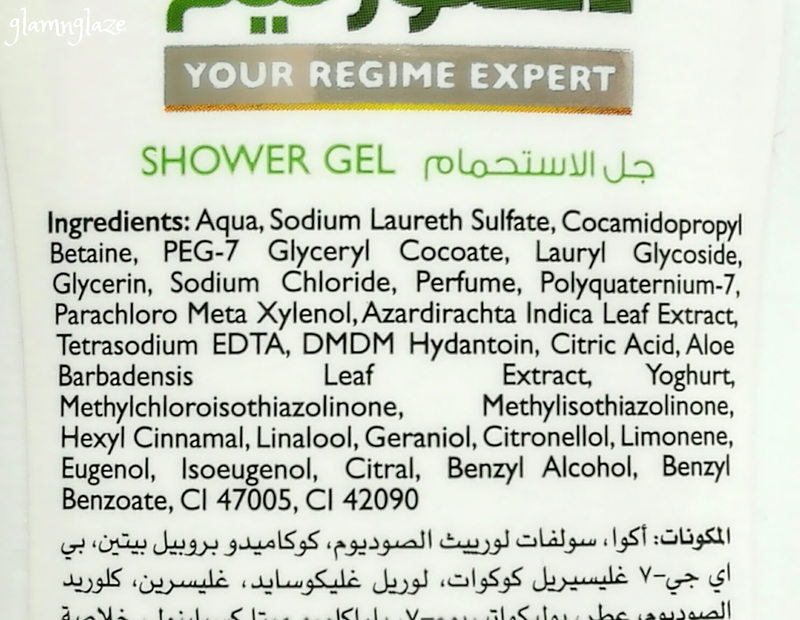 This shower gel is suitable for all skin types and didn't rip of the essential oils from the skin.May be because Glycerin is also present in this shower gel. Ideally one to two pumps of the product should be sufficient (during bath). 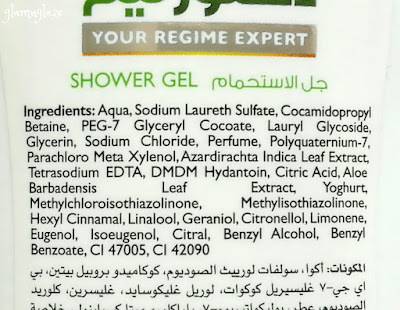 Would like to try some other variant of the shower gel from Dr. Neem. I highly recommend this shower gel to people who are looking out for a decent shower gel with skincare properties.